I don't know if you are aware, but the weekend is almost here. Time to celebrate! 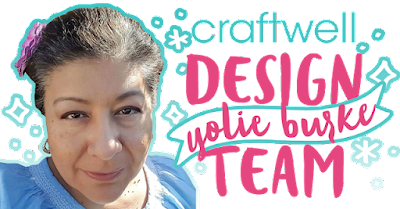 We are also celebrating this month's sponsor, Latina Crafter's 5th Anniversary! So today, I am sharing a the perfect card for the occasion. 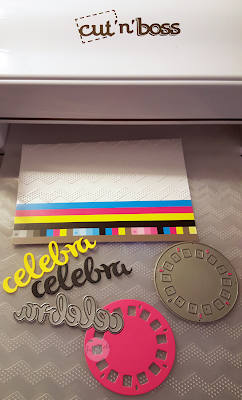 I used Latina Crafter's Viewfinder die, "celebra" die and Craftwell Dotted Chevron embossing folder. Everything cut and embossed with, you guessed it, the Cut N Boss. Let's chat about the paper for a minute. I received a box of catalogs not to long ago and this sheet was at the bottom of the box. Of course I couldn't just toss it out. 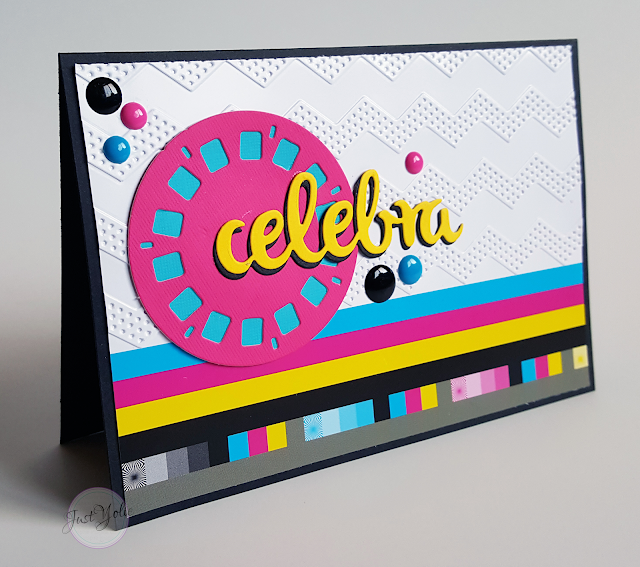 I just knew I had to create with it and so it was perfect for my "celebra" card. 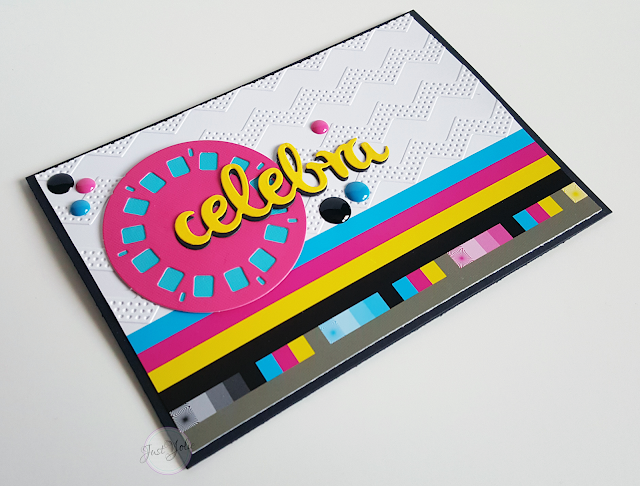 I trimmed it to fit the card base and then embossed it with the dotted chevron. Simple as that. I cut 2 "celebra" words to create a shadow so the yellow can pop. I cut a blue circle for the viewfinder's background and embellished with enamel dots. Such a fun and happy card! I love how it turned out.